What Do Divergent Monetary Policies Mean for You? The world has become increasingly globalized over time, especially when it comes to large countries like the U.S. and regions like the E.U. With the two global superpowers embarking on opposite monetary policy paths, international investors should take note of the potential impacts on their portfolios and ensure that they have limited risks. In this article, we’ll take a look at monetary policy strategies, their effects on global markets, and some possibilities for divergent monetary policies. 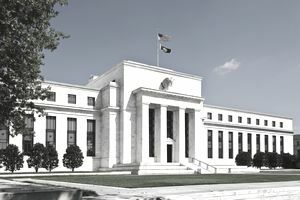 Monetary policy is a central bank’s strategy to manage the money supply and interest rates through a variety of different tools to affect outcomes like inflation and employment. Open Market Operations - Buying and selling of government bonds to control the level of reserves in the banking system and influence interest rates. Discount Rate - The interest rate that banks pay on short-term loans from a central bank, which includes wider interest rates across the financial ecosystem. Reserve Requirements - The amount of physical funds that banks are required to hold against deposits in bank accounts, which influences loan volumes. The monetary policy decisions of the U.S. and E.U. affect the global markets in many different ways due to the interconnected nature of the world’s economy. Switching Effects - The appreciation of the dollar improves other economies’ price competitiveness and encourages foreign consumers to purchase domestically and U.S. consumers to purchase imported goods. As a result, U.S. tightening can be expansionary for other countries that have strong trade ties. Original Sin - The appreciation of the dollar makes the local-currency value of liabilities denominated in U.S. dollars much more expensive. As a result, many emerging market countries and foreign companies may experience higher debt service costs, which can have a contractionary impact on other countries. Correlation - The U.S. Treasury bond’s yield movements have a big impact on foreign bonds, due to the interconnected nature of global finance. As a result, an interest rate hike in the U.S. that increases yields on Treasuries may also end up increasing yields for many other sovereign bonds due to the higher cost of safety. The divergence between the U.S. and E.U. monetary policies reflects key differences in the fundamentals in each region. In the U.S., robust economic and asset price growth has made a hike in interest rates by the Federal Reserve necessary to avoid future asset bubbles. In the E.U., stagnant economic growth has led the European Central Bank (ECB) to cut interest rates into negative territory and pursue additional stimulus measures. The problem is that these divergent policies are creating some unique dynamics in the financial markets. For instance, the ECB’s expanded Asset Purchase Program triggered a decline in U.S. bond yields despite speculation of an imminent increase in domestic interest rates. The specific impacts are difficult to predict other than to say that domestic monetary policies may have more difficulty achieving their mandates when competing with external forces. The most likely outcome from divergent monetary policies will be increased volatility from speculation on foreign monetary policy decisions. For instance, the ECB’s decisions will continue to impact the U.S. market and the U.S. decisions will have big impacts on emerging markets. Investors should be cognizant of the strategies being pursued in each of these areas and ensure that their portfolio is properly positioned to handle them. The world has become increasingly globalized over time, which has made monetary policy decisions by large economies increasingly impactful. There are many different ways that monetary policy decisions can impact global markets, including switching, original sin, and correlations. Divergent monetary policies could introduce more volatility into the market, which investors should be aware of moving forward. What is a Bank Reserve Ratio?